I love browsing literary gifts at this time of year but in typical lit nerd fashion I usually end up buying more gifts for myself than others. Here are a few of my favourite finds this year. I'm planning on buying this for my sister to jazz up her kindle a bit. These are so much nicer than a plain case I think and not easily lost in the depths of a bag. I rather like the Frankenstein one myself. 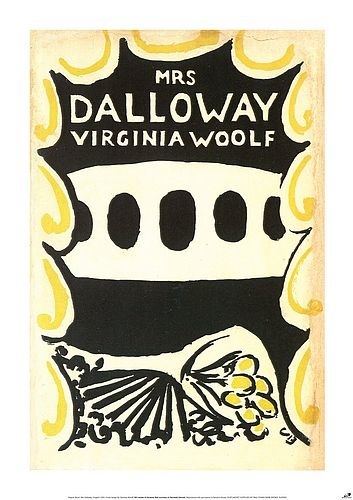 I love these poster reproductions of book covers. One would be perfect for anyone who loves judging books by their covers or collects books for their covers (like me). I treated myself to the To the Lighthouse poster when I handed in my dissertation. They could even be framed to make it extra special. 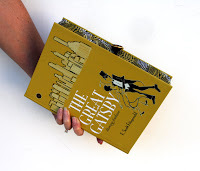 Etsy has the most amazing range of literary luggage. Not cheap but these books made into bags are pretty darn unique. How about matching a Gatsby clutch with a flapper dress? This could work. 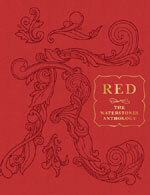 Red, the inaugural Waterstones anthology, has some interesting contributors. Pieces from Emma Donoghue, Max Hastings, Andrew Motion and Hanif Kureishi promise to make excellent reading. According to the description it is a collection of writing in response to the cultural highs and lows of the past year. Plus the actual book is lovely, definitely a gift for someone who loves the look of a book as well as the content. The picture just says it all really. Amazing. Who wouldn't want the company of a fellow reader in the bath? 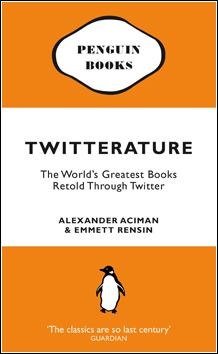 As an avid tweeter I find the concept of this book most intriguing. I think it will be like the Guardian's Digested Read but so much better. Alot can happen in 140 characters. My twitter is @elliebaggley if you're interested but be warned I tweet alot and it is generally star wars related.